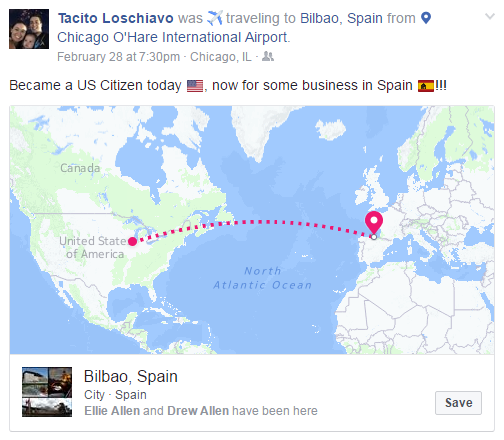 Last week, our very own International Sales Engineer, Tacito Loschiavo, became a United States citizen. And how did he celebrate it, you may wonder? As a native of Brazil, Tacito speaks Portuguese and has learned Spanish and English fluently. So naturally, he solely covers all the Portuguese & Spanish speaking countries we currently do business with from Mexico all the way down to South America, and now Spain. Are we in Portugal yet?? Anyway, after his trip to Spain, Tacito was going to take a half a day off on Monday, but we had already arranged his party in the morning. Awkward. Drew had to call him in early for some "important business" so we could celebrate. I think the cake helped with the jet lag! 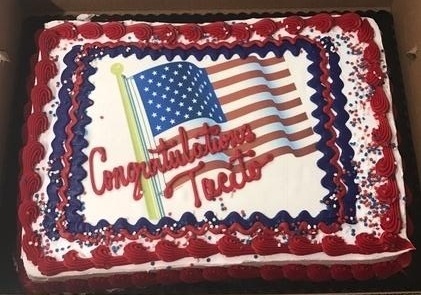 Congratulations on becoming an American Citizen, Tacito! We're very proud and lucky to have you as part of the Grace team. We're giving away some American Made Yeti Tumbler's this week! Click below and have a great week!